On 25 June I was at the northern entrance of the Bosphorus for a day trip. 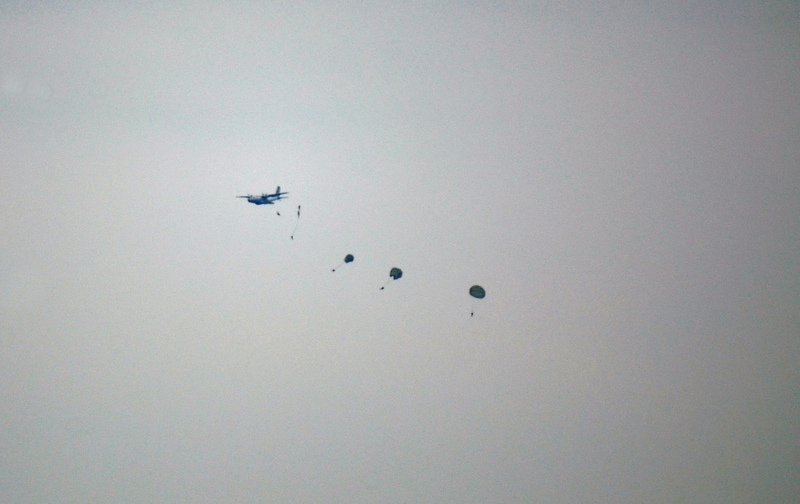 At first the sound of the aircraft engine did not grab my attention but the blooming parachutes did. The plane is a CASA CN-235 cargo plane, very similar to the ASW planes of the Turkish Navy. But the lack of the MAD boom and the radar receivers on top clearly indicates that this plane is the cargo version. The place where the jumps were made is close to a training facility of Turkish Naval special forces. 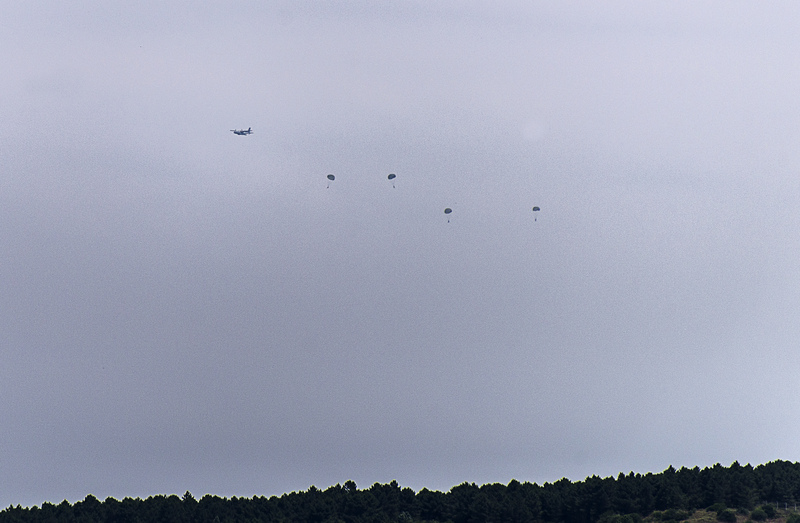 Thus I assume that it was them who jump out of the plane.